For this remarkable evening, Ben Patterson presented three performances along with a 40-minute ‘dressing room interview’ (A Chat in the Artist’s Dressing Room) in which he talked about his work and philosophy. Carmen, presented with the assistance of a dozen Ryerson multimedia students, featured the students parading into the room in sequence with roses in their teeth, eventually depositing them into a blender where there were pureed into a pink sludge, which Patterson drank to the strains of the famous opera. For The Creation of the World, Patterson invited five audience participants to join in a blackjack game (himself as house), competing for a handmade plaque by the artist. Patterson closed the evening with Bolero, in which a silver-suited ‘musician’ lights tea candles, simulating the ‘orchestra’ in time to the Bolero score, conducted by Patterson. The piece ends with a dramatic burst of a fire extinguisher as the music concludes. Ben Patterson is a US-born musician and artist based in Wiesbaden, Germany. 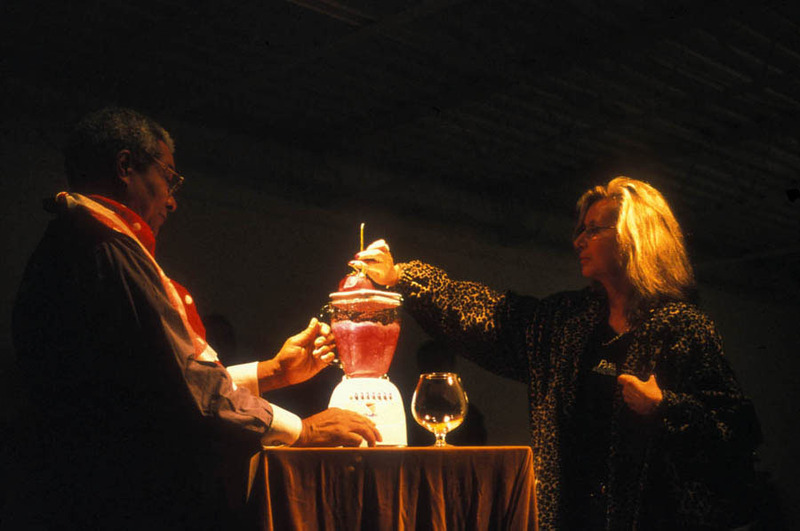 Widely recognized for his contributions to the Fluxus movement, Patterson has performed extensively in venues around the world, often creating works structured around well-known works of classical music and opera. His works are represented in many major museums, including the Tate in London. His connection to Canada extends back to the 1950s, when he appeared as a double bass soloist with the Halifax Symphony Orchestra and the Ottawa Philharmonic Orchestra.